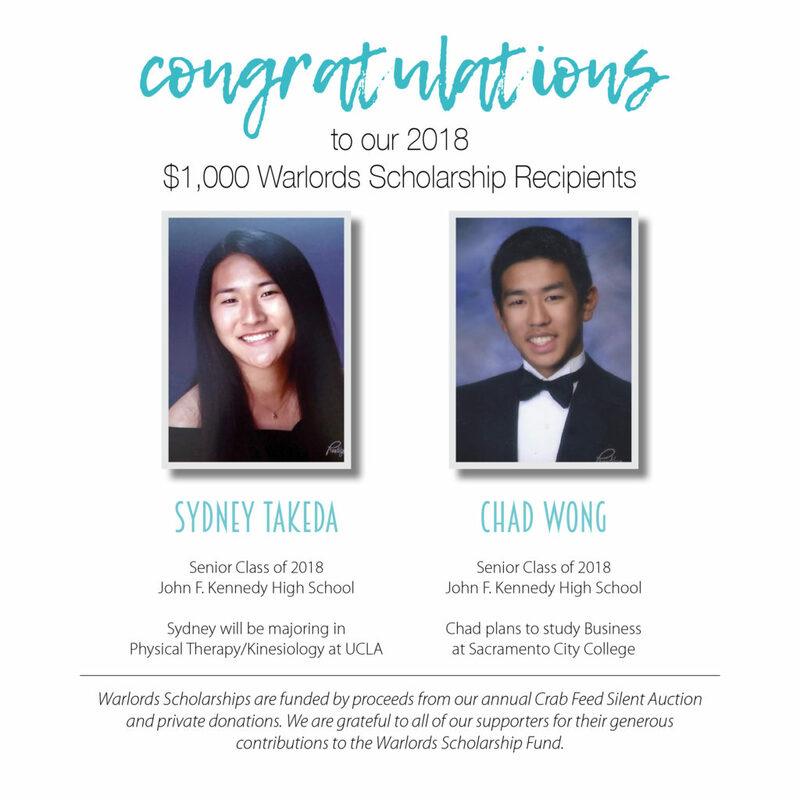 Each year, the Sacramento Warlords Basketball Program offers $1,000 scholarships to two High School Seniors and one Alumnus in pursuit of higher education. Recipients are announced in May and awarded during our annual year-end dinner. High School Seniors must be a current rostered player on a senior Warlord team. Warlord Alumni must 1) have participated at least one full year in the Sacramento Warlords Basketball Program, 2) be enrolled in any college or trade school in the coming fall semester, and 3) have not already won a Warlord Scholarship award (as a high school senior or alumnus). Applicant form is available here. The deadline for 2019 applications is February 15, 2019.